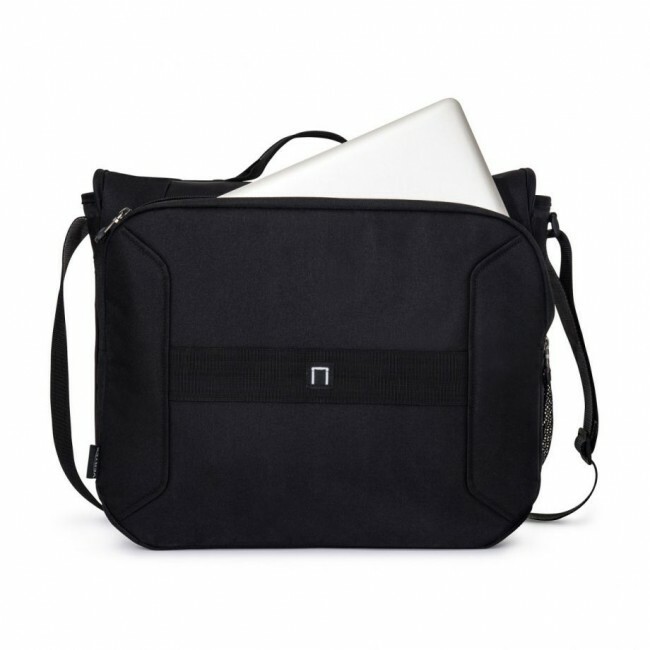 Carry and protect your tech in style. 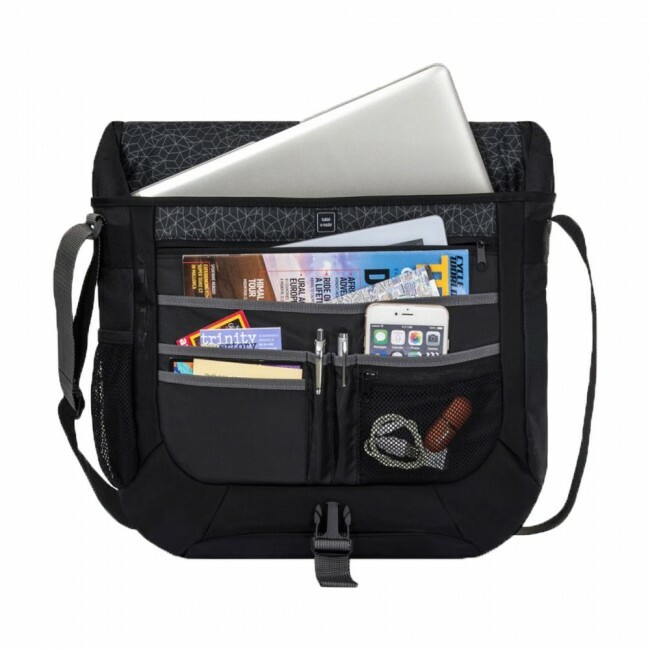 Made to keep you organized, this durable bag features an interior divider, a zippered scratch-resistant padded pocket for your tablet (up to 10”), and a rear padded zippered compartment for your laptop (up to 17”). 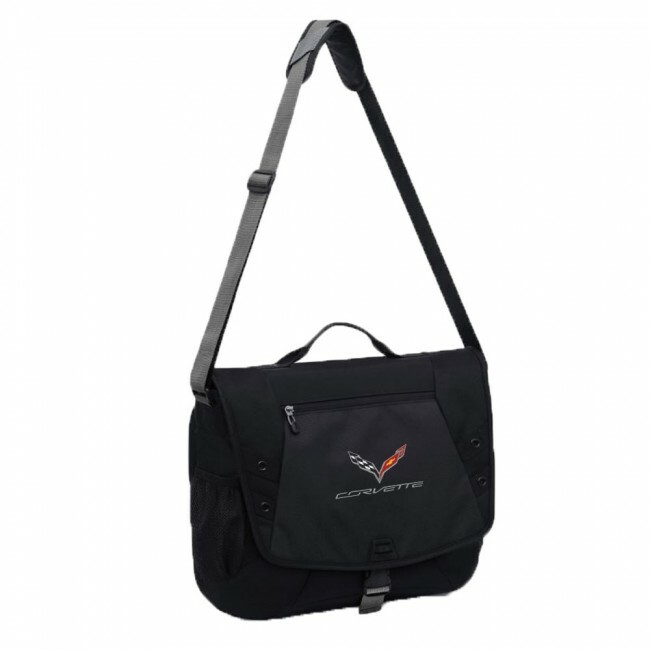 The front flap, embroidered with the C7 crossed flags and signature, has two multi-functional zippered pockets on the front and underneath. It also has an exterior water bottle mesh pocket, an adjustable shoulder strap with padded handle wrap, and a trolley strap to easily slip over your luggage handle. Buckle closure. 17” L x 13.5” H x 6” W.